The evening of May 20th brought together Annie Duke, Brad Garrett, and more than 20 other celebrities and champion poker players to raise funds for After-School All-Stars (ASAS), – Arnold Schwarzenegger's after-school nonprofit. Hosted by Duke and sponsored by UB.net and the Poker Players Alliance, over 110 poker fans, celebrities, and ASAS donors attended the Los Angeles Commerce Casino event to support after-school programs for at-risk youth and compete for the grand prize – a seat to the 2010 World Series of Poker Tournament. Renowned stars and poker celebrities included Kirk Acevedo (Fringe), David Zayas (Dexter), Sara Rue (Popular), Adam “Roothlus” Levy (poker player), Joshua Molina (The West Wing), Shanna Moakler (Meet the Barkers), and Rafe Furst (poker player). 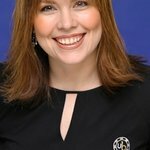 By the end of the evening, the Annie Duke Celebrity Poker Night raised almost $50,000 ASAS. Six final table winners walked away with a total of $35,000 in prizes. The grand prize was awarded to Sue Jung; second prize to Kristina Macfarlane; third prize to David “Chino” Rheem; fourth prize to Albert Chan; fifth prize to Shannon Moakler; and sixth prize to Gina Hecht. For a complete prize list for each winner, visit www.afterschoolallstars.org/poker. Founded by Governor Arnold Schwarzenegger in 1992, After-School All-Stars is the leading national provider of high quality, comprehensive, school-based after-school programs that include academic support, enrichment, and health and physical fitness activities. Assisting 80,000 at-risk youth a year, the organization’s mission is to keep children safe and help them achieve in school and in life. Currently, After-School All-Stars operates in 13 U.S. cities: Atlanta, Chicago, Columbus, Dallas, Hawaii, Las Vegas, Los Angeles, New York, Orlando, San Antonio, San Diego, San Jose and South Florida. For more information, visit [www.afterschoolallstars.org.